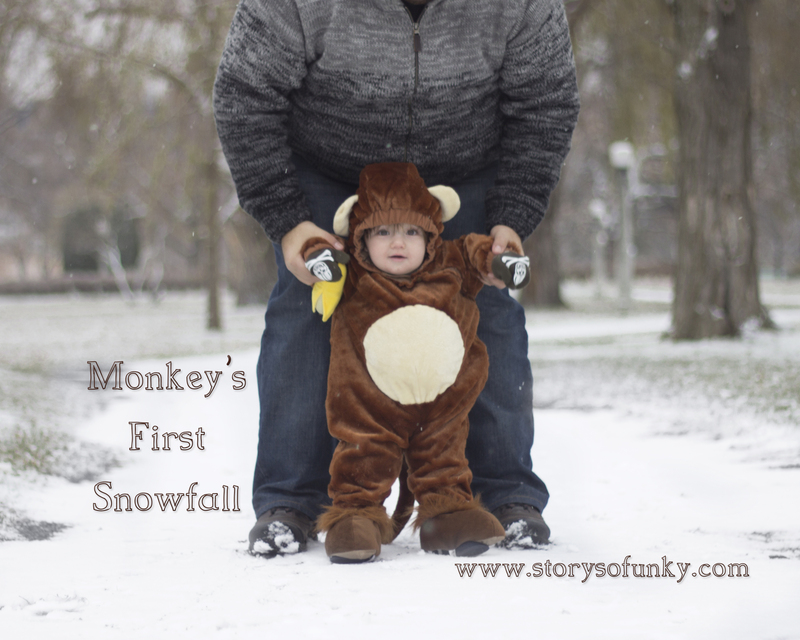 Our little monkey, the inspiration for the book experienced his first snowfall today in Ottawa. We took him for a walk and to play in the snow. With his little pirate mittens he waddled between daddy’s legs and stared in awe at the beautiful cold little white flecks falling from the sky. It is wonderful moments like these that make all the pitfalls of parenting a million times greater. I myself am in awe of my little guy, and will teach him as he grows how we all are beautiful little snowflakes, each unique in our own way, and also together we are one in the same.